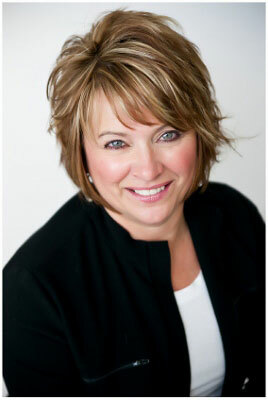 Cheri is a full time licensed professional helping buyers and sellers in the Greater Grand Rapids area including Byron Center, Caledonia, Gun Lake, Green Lake, Ada, Hudsonville, Jamestown, Grandville and many Northern Michigan lakes and rivers. Cheri has been with us for many years and could not have found a better or more honorable company for which to work with. She has furthered her real estate education by earning her graduate, Realtor Institute Designation, Accredited Buyers Representation Designation and is a Certified Relocation Specialist. Having years of experience in customer service, Cheri is known by colleagues and clients alike for her tenacity, perseverance, honesty and fairness. Cheri also has a stellar reputation for quick, timely responses to each client's needs and concerns. Her telephone and email are always at hand. As a realtor specializing in residential properties, she has always brought abundant energy, creativity, dedication, experience and personal knowledge to her work. You can be assured that she will stay on top of all the details of a deal, to provide a smooth and easy-going transaction.